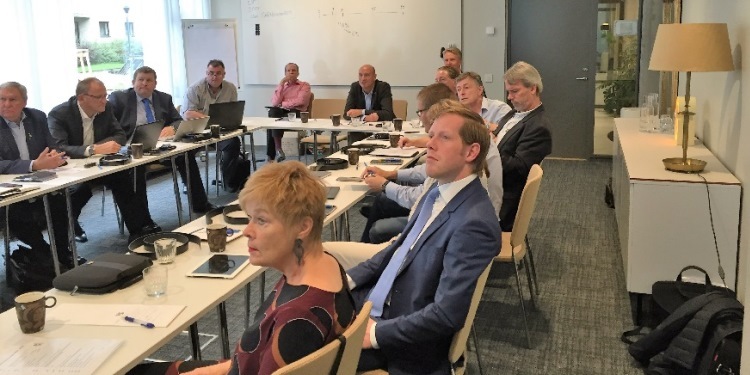 A meeting of the Northern Group of EUROMIL was held between 18 and 21 August 2016. This meeting was facilitated by SAMO the union representing Soldiers, Sailors and Aircrew from Sweden. One of the central differences between SAMO and PDFORRA was outlined on the first night of discussions, which was the entitlement of SAMO, although it has never been used, to strike. Representatives from SAMO did however outline the downside of such entitlements was the ability to be “locked out” by government. A number of presentations were made during the meetings, including information sessions on conscription within the Swedish Armed Forces, due to the significant difficulties being experienced in recruiting personnel. During this discussion members of one of the representative associations outlined how personnel from other European Countries were being recruited into their Armed Forces. In fact a Spanish citizen had been recruited recently. A brief on current Northern European Naval concerns was given by RADM Jens Nykvist Chief of Staff Royal Swedish Navy, which was very thorough and from a representative perspective gave a rare insight into the operation of the Working Time Directive in other Armed Forces. On the final day the President of the AFMP Anne Marie Snels gave a brief on the use of PX-10 (Gun Oil) and Chromium 6 within the Dutch Armed Forces. The use of these chemicals had given rise to significant health difficulties for members of the Dutch Armed Forces. Following the meeting PDFORRA submitted correspondence to the Department of Defence regarding the lack of regulation for discharge on grounds of Conscientious Objection. Additionally, requests for information regarding the use of Chromium 6 by the Defence Forces was submitted. This article was written by Gerard Guinan for the magazine of PDFORRA. For more information, please contact PDFORRA.